Designed by Emporia architects Jerome Brinkman and Stanley Hagen, Hoisington High School was constructed in 1940 through the Public Works Administration. The three-story blond brick building features Art Deco-style stone ornamentation and carved detailing. The nomination also includes a 1937 native stone stadium constructed by the Works Projects Administration. The property was nominated as part of the "New Deal-Era Resources of Kansas" multiple property nomination for its contribution to community growth and for its architecture. 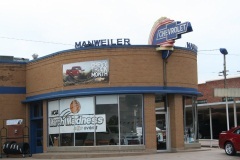 The Manweiler-Maupin Chevrolet Dealership in downtown Hoisington was constructed in 1944. The building serves as the third location of the Hoisington-based dealership, which was founded in 1928 by J.B. Slade. The business not only survived the Great Depression, but outgrew its original location and relocated in 1932. Slade sold the business to his two sons-in-law, August Manweiler and Wayne Maupin, in 1937. It was during World War II that the two partners decided to build a new facility, and one of the most unique aspects of the building's history is the timing of its construction during the war when auto assembly had come to a halt as production shifted to the war effort. Plans and specifications were provided by Mann and Company of Hutchinson. The building reflects the Streamline Art Moderne style with the curved showroom, rounded corner, use of glass block and horizontal banding around the building. Today the business continues under the ownership and operation of Slade's great-grandson Gene Manweiler. 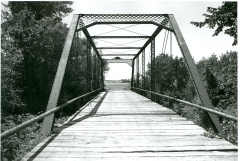 It was nominated to the National Register of Historic Places as part of the "Roadside Kansas" multiple property nomination for its local significance in the areas of commerce and architecture. The National Hot Rod Association /Sunflower Rod and Custom Association (NHRA/SRCA) Drag Strip was constructed circa 1942-43 as an Army Airfield during World War II. Located at the Great Bend Expo Area, the City of Great Bend purchased the base in 1946. 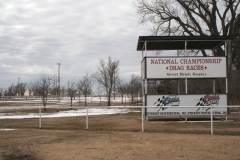 In 1954, the SRCA was founded in Great Bend and, with city approval, was allowed to use the airfield as a drag strip. The SRCA joined the NHRA in 1955 and petitioned the NHRA to have the national drag strip championships located here. The NHRA held its first drag racing championship at this location. The Nagel House was nominated for its architectural significance as one of fewer than 100 extant Lustron houses in Kansas. Throughout the 1930s and 1940s, architectural pundits heralded the prefabricated house - particularly the metal house - as the wave of the future. 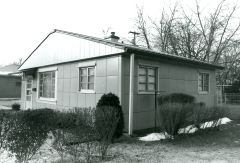 The most famous producer of the prefabricated metal home of the postwar era was the Lustron Corporation, which manufactured an all-steel house that it boasted could be sold for $7,000. The Nagel Residence, constructed in 1950 by Brack Implements of Great Bend, is the Newport Deluxe two-bedroom model with a "Dove Gray" exterior and green roof tiles. There were eight Lustron dealers in Kansas - including Brack Implements in Great Bend. The Nagel House was one of nine Lustron houses to be built in the Crescent Park Addition of Great Bend. To travelers on the Santa Fe Trail, this sandstone citadel marked the halfway point of the trail and was one of the most prominent landmarks on their long journey. Native Americans were said to have met at Pawnee Rock and reputedly used it as a vantage point to spot bison herds and approaching wagon trains. Sts. 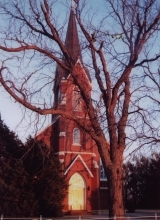 Peter and Paul Catholic Church is an example of a Gothic-influenced gable-front, two-story brick building. The 1892 church exhibits the characteristic centered gable front entrance on the west elevation and five Gothic arch stained glass windows on the side elevations. A semicircular apse is located at the rear. 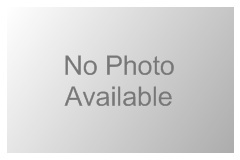 It is significant for its late nineteenth century Gothic-inspired architecture. 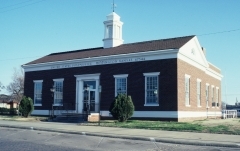 Constructed circa 1936 as part of the U.S. Treasury Department's Section of Painting and Sculpture program, the Hoisington Post Office is a one-story, Classical Revival brick building with gabled roof. It is an example of the smaller class of the standardized design type that was repeated throughout the U.S. during the 1930s. A mural titled "Wheat Center" by artist Dorothea Tomlinson was created in 1938 and is displayed on the east wall of the interior. The post office was nominated as part of the "Kansas Post Offices with Artwork (1936-1942)" multiple property nomination for its mural and its association with the Section Program. Constructed in 1894, the Wolf Hotel is a two-story, brick Italianate commercial building. First owned by John Wolf, a respected local businessman, the local newspaper reported the daily construction activities until it opened in August 1894 for business. It was a well-used establishment with a restaurant frequented by both locals and travelers. Wolf’s son Fred took over ownership when his father died and constructed the 1923 addition, which was designed by Wichita architect S.S. Voigt in the Mission style. The property is significant for its association with the Wolfs and commerce in Ellinwood and for its architecture.